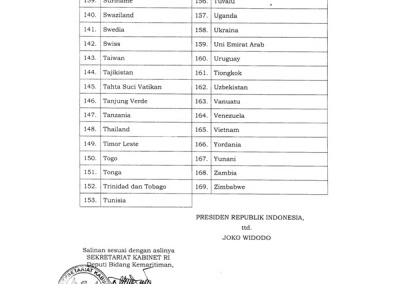 Below are the 169 countries that receive a 30 day Indonesia free visa upon arrival. 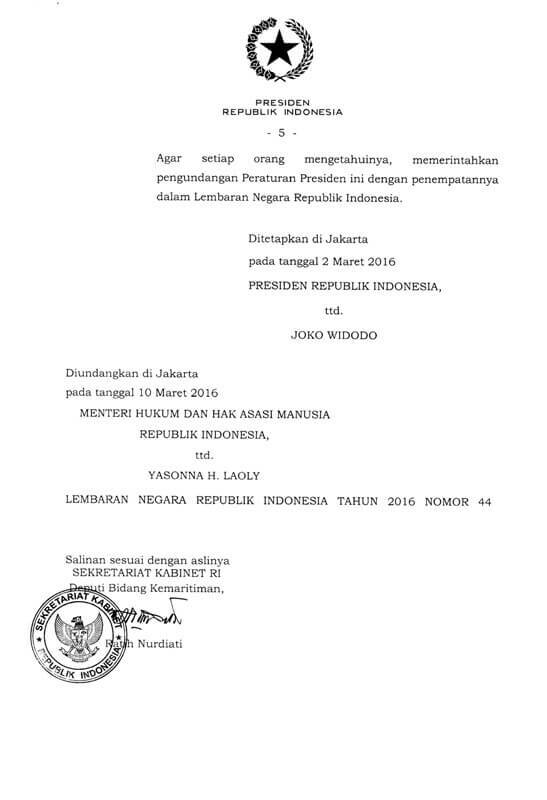 The new law approving of these 79 countries was officially signed by President Joko Widowo (Jokowi) on 2 March 2016. The new law was then made public by the ministry of justice on 10 March 2016 and finally implemented on 21 March 2016. 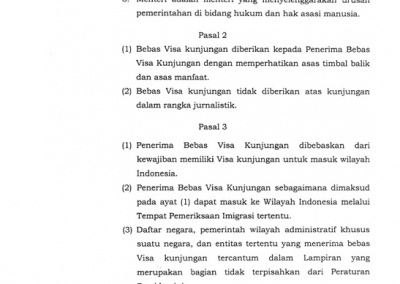 Continue here to see what the requirements are for the 30 day Indonesia free visa and the 30 day visa on arrival. If you are still in need of a hotel check-out Agoda.com for good value deals. 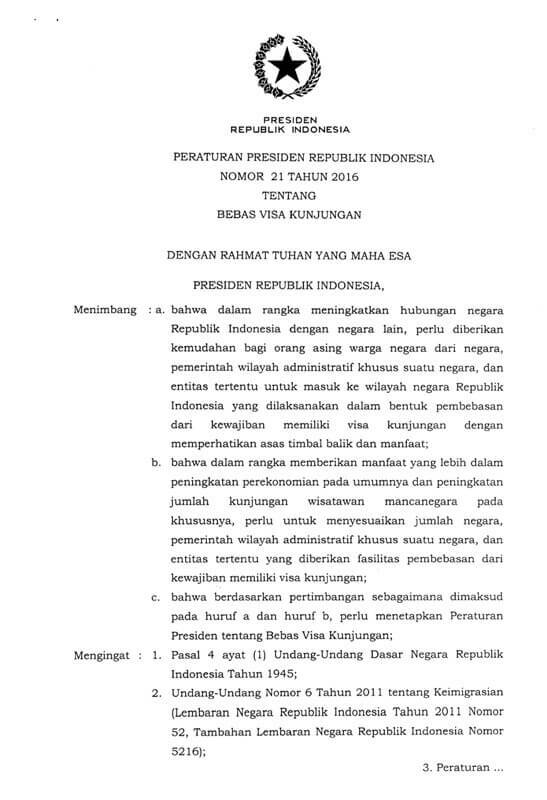 Below is a a copy of the new Indonesian Law on visa free countries signed by President Jokowi on 2 March 2016. Visitors from Pakistan and some other countries are not included in this list. 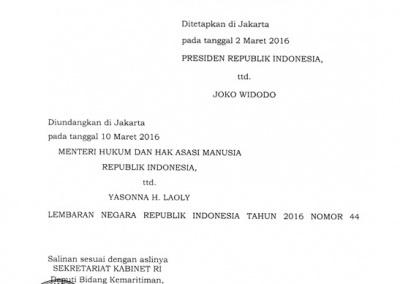 Other countries need to apply for a visa in advance of travelling to Indonesia. To apply for a visa please visit the nearest Indonesian Embassy. This is a link to Indonesian Embassy in Islamabad for Pakistan visitors. You can also get the help from a visa agent to apply for a visa. Please contact our friends at Visa For Bali. Continue here for more info on a private driver in Bali for airport transfers and day tours. This free visa is for 30 days only and cannot be extended. You can enter and exit Indonesia on a free visa through 29 airports and 88 harbours and 7 land crossings. Find out which airports and harbours can process free visa arrivals and departures. The purpose of increasing the lost of free visa countries was to boost the number of foreign visitors to Indonesia. This increase will then create new job opportunities. According to Rizal the original extra 45 countries (added on 10 June 2015) had at that time already created a 15% growth in tourist arrivals. 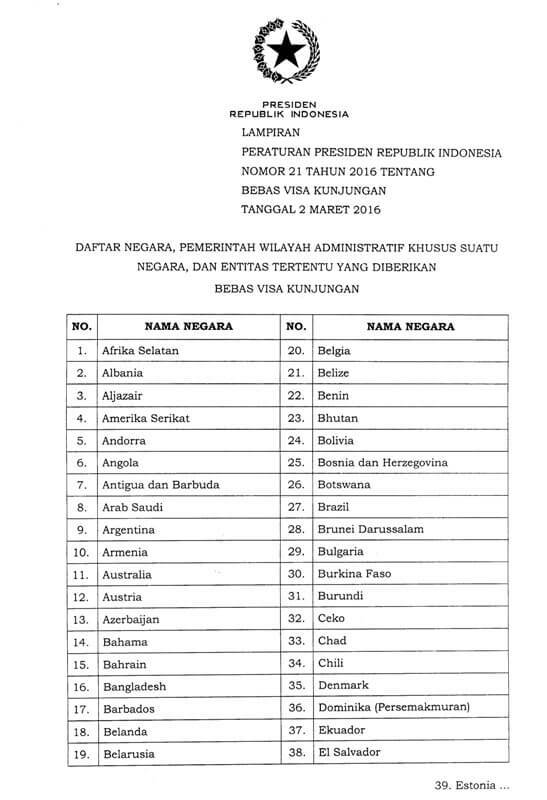 These Indonesia free visa countries are chosen on a set of strict government criteria. Hey there, I’m from Israel , I would like to travel in Bali , i should pay before? Or when I will arrive there? You will need to apply for a visa before travelling. For this free visa, do I need to apply it online or I can just get it when I arrive? I am from pakistan and would like to visit Bali Can we all get the visa on arrival to Indonesia ? Unfortunately Pakistan is not on the list of visa free countries. Hi, I live in the United Kingdom and planned on travelling to Bali in September. I currently hold a Trinidad and Tobago passport and was wondering if i need a visa before I get there, or will I get a 30 day visa on arrival? Passport holders from Trinidad & Tobago are eligible to a 30 day free visa. Hi I will be visiting Bali from Guyana, do I get a Free visitor visa on a arrival. Passport holders from Guyana are eligible to a 30 day free visa. I am a Bangladeshi citizen. I am planing to visit Indonesia for 29 day. What can I do? Passport holders from Bangladesh are one of the 169 countries that are eligible to a 30 day free visa. I hold Nepali passport and my friend indian but we live in hk .we want to visit bali for a week can we get the visa on arivel ? Passport holders from Nepal and India are two of the 169 countries that are eligible to a 30 day free visa. Hello! Does a non-EU citizen but Resident Permit holder of any EU (schengen) countries require to pay Visa Fee to enter Indonesia? Whether you can get a visa depends on your nationality, not your residency. For Visa exempt countries, tourists planning on leaving within 30 days wanting a Visa exempt stamp, do they proceed straight to Immigration/Customs, or do they still need to go to the Visa counter? You can head straight to the immigration counter. je souhaite une exemption de visa pour un séjour inférieur à 30jours en Indonésie. Est-il possible de l’obtenir avant le départ svp? You can only get the free visa on arrival. You cannot get this in advance. I am from Pakistan working in Singapore, I have many business VISAs for Indonesia, and have done a lot of projects in Indonesia for AP1 /AP2, It was really hard for us in past to get VISA, but now a bit easier, Kindly do something better for us by including us on VISA on Arrival also. with this I can bring my Kids along myself when I am on business trip. Has there been any updates to this list recently? I see Ghana listed on this website, but not on others. Are Ghanaian citizens eligible for visa-free travel? Where can I find the most up-to-date information? Thank you in advance! Hello. My passport will be valid for 5 months when I go to Bali i.e I plan on going in April but my Passport will expire in September. Will I still be able to travel to Bali? I Read somewhere that my passport has to have at least 6 months validity if I’m to travel to Bali. I’m from Zimbabwe. How far true is this and how can the issue be resolved? Hello, your passport has to be valid for 6 months from the day you enter Bali / Indonesia. This is a very strict rule and if you have less than 6 months then you are pretty much guaranteed to be refused entry. Your airline would probably not even allow you on the plane to Bali as your airline would be responsible to fly you back out of the country. 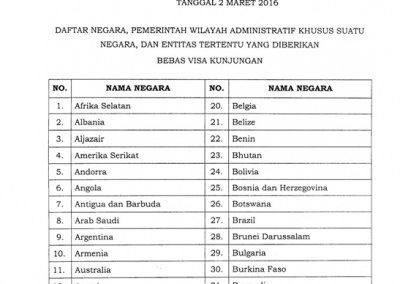 Why no include Pakistan name to visa on arrival in indonesia. I am Solomon Kelly from PNG,I really want to visit some of my friends there in Indonesia.How do I need visa please reply me? I am a Botswana Passport Holder and would like to know if i need a Travel and Tourism Visa to come to Indonesia. Hi, I am from Kosovo and would like to visit Indonesia with family and friends. Do I need an entry visa? 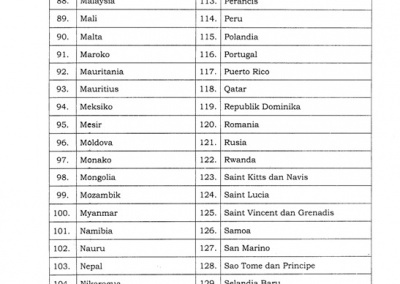 Cannot find Kosovo under the free visa country list. You will need to contact the nearest Indonesian Embassy and inquire for a visa before traveling to Indonesia. I am from South Africa, flying in from Dubai. My visa is only valid for 3 months on arrival. I am only staying a week and have my return ticket and booking confirmation for the week. will I be allowed entry? It depends if the visa you have is single entry or multiple entry. 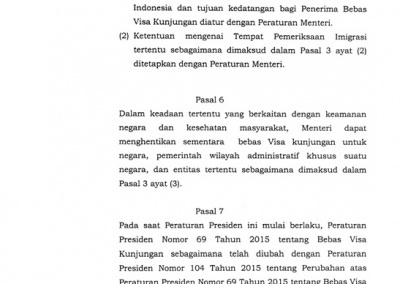 If it is single entry then the visa will no longer be valid after you leave Indonesia. You can choose to take the 30 day free visa (not extendable) or pay for the USD 35 visa on arrival (extendable once by another 30 days). If you plan to stay for 30 days or less then the free visa makes most sense. You will get 30 days visa approvals.. I am a South African and I would like to travel in Indonesia. Do I need a visa? I am from Libya and I am invited to deliver lecture in a conference in Semarang. Do I need to apply for a visa? I am.from Sudan and it’s not showing on the list of 169 countries . What will be the procedure and how long it will take as I already booked Bali 28 july. I am from Nepal do I need a visa? How can I geet Indonesia visa? Hello , i hold iraqi passport and permanent residency in turkey for the last 5 yeas , and 10 years in dubai “permanent residency” i like to visit Indonesia to see my friends there and meet her father , so i have to apply online or go to the nearest consulate ? Hi I’m from Sudan and finnish resident. I have a refugee travel document am I eligible for the 30 day tourist visa ? 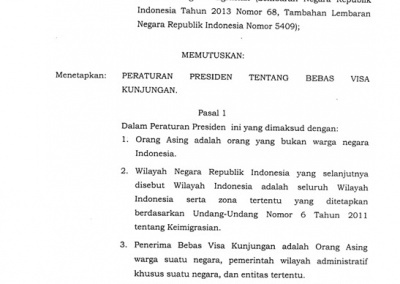 Can I need Tourist Visa for me & my Family for Indonesia? I am from Pakistan. 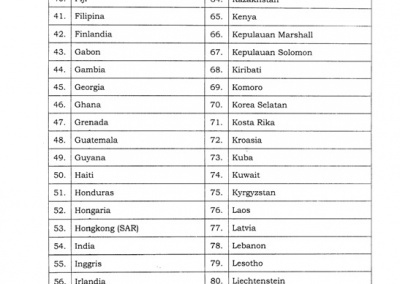 I am astonished to see Pakistan name non included in VOA List. Sir i am hafiz Shamas from pakistan i want go to indonesia please give me information about visit visa for 7 days and return tickt kindly fast rply me. I am from India and would like to visit Bali with my wife and son (3 Yrs old). Can we all get the visa on arrival to Indonesia ? i am an indian who is an international student currently studying in Australia. i am planning to visit Bali for 5 days. I am living in australia now as im studying here so i’m departing from australia airport. do I need to apply for a via here.